A solid 4 week plan for personal health transformation based on a 1450 calorie diet for female health, vitality and strength. 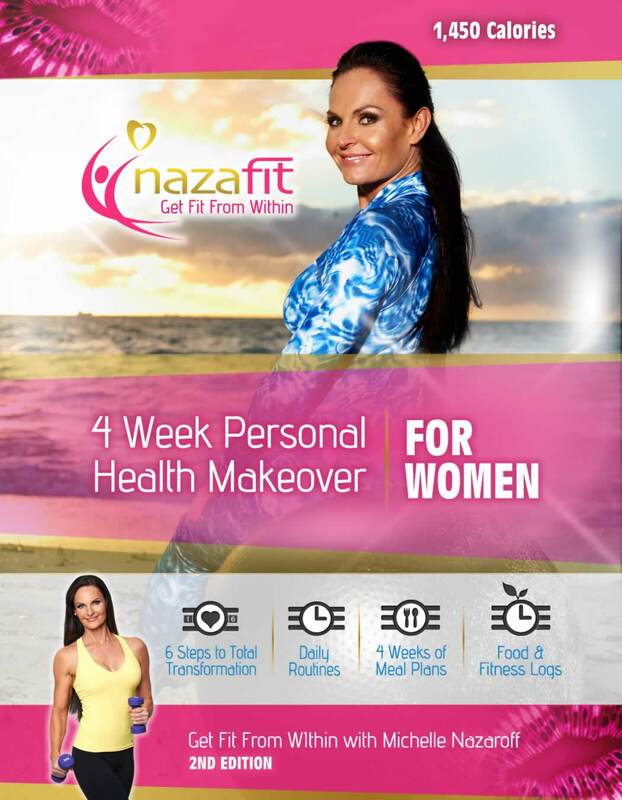 Based on 1450 calories, this book is designed for women that need direction towards the Nazafit live food journey to a healthier and happier lifestyle. Unlike most raw diets that are low in protein and high in fat and carbohydrates, this book outlines a diet high in plant based protein, low in fat and moderate in carbs, helping you build strength and vitality the natural way. Now in it’s second edition, this book has been pumped up with more content and information to give you the tools to sustain the Nazafit lifestyle. If, however, you are interested in leading a totally vegetarian lifestyle with a focus on raw food, we have the 4 Week Personal Health Makeover for Women – Totally Raw program for you. 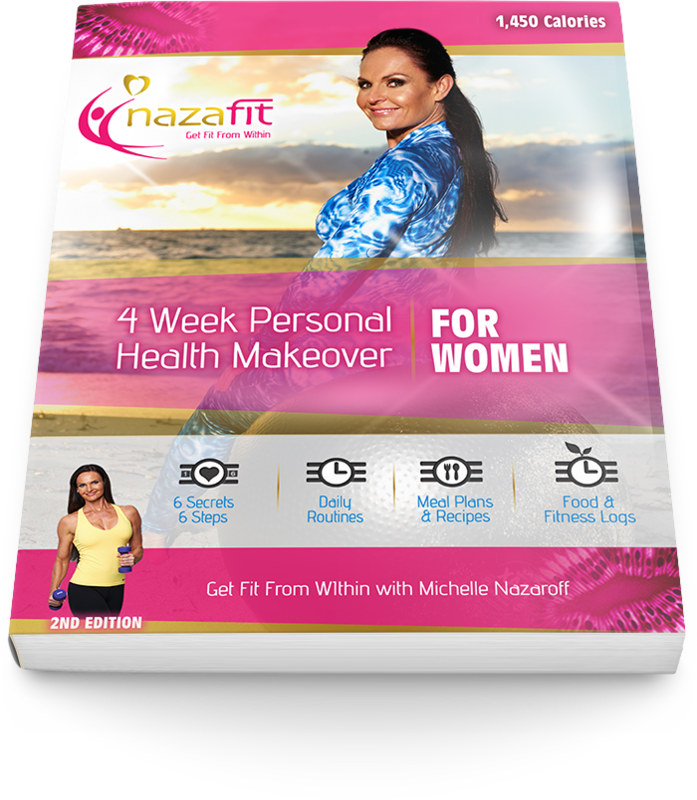 In addition, if you are a couple taking the Nazafit whole food journey together, your partner may be interested in the 4 Week Personal Health Makeover for Men which has complimentary recipes for a shared kitchen, saving time on shopping.